Winner of the coveted 2011 and 2012 People's Choice Communities- based on homeowner satisfaction ratings. Lantana residents rated their community higher than any other community's in DFW. 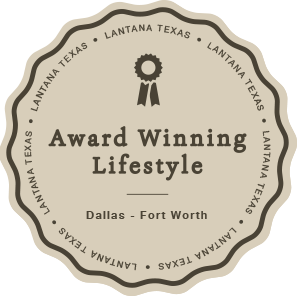 Lantana is centrally located between Dallas and Fort Worth, and is less than 2 miles away from over one million square feet of retail shopping, entertainment, and dining options. DFW airport is 16.8 miles from Lantana. 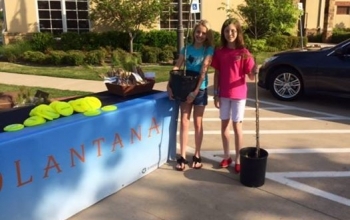 Lantana hosts many events throughout the year for the community- Spring Festivals, Music on the Green, Halloween's "Monster Mile", back to school events, neighborhood gatherings, book clubs, swim and tennis teams, bunko groups, holiday celebrations…and more. Our on-site Lifestyle Coordinator is here to make sure there are all kinds of activities to entertain every interest and age. Lantana provides an outstanding education for children with its 3 on-site elementary schools and one intermediate school in the Denton ISD. The Lantana Education Foundation has provided millions of dollars of financial support to enhance the educational facilities, programs and services in area schools as well as other charitable endeavors. Lantana's rolling topography, exceptional landscaping, Hill Country architecture and masterfully carried out development theming has re-created Austin's famous laid back Hill Country lifestyle. The monumental entrance is characterized by the iconic windmill, low stone walls and tree grids. For Lantana, we created wide curving boulevards, meticulously landscaped greenbelts, and a wide variety of neighborhoods, price ranges and lot sizes. All major amenities were placed in close proximity to each neighborhood for easy accessibility. The Forstar Group has created and executed a unique community concept that distinguishes Lantana from other developments. 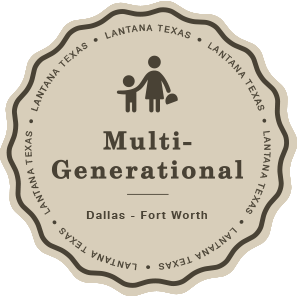 The wide variety of lots sizes, home builders and lifestyle opportunities all make Lantana a multi-generational community. Lantana provides an environment where grandparents, singles, and young and growing families can live in nearby neighborhoods and be surrounded by friends and family. 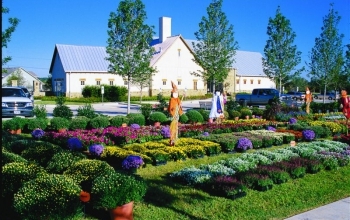 Lantana gives an immediate impression of a welcoming community with its stone and natural elements and architecture that is implemented in every community building, including the impressive Amenity Centers and other support buildings—all enhanced by Hill Country flowers, landscaping and stone walls. Lantana is characterized by its beautiful streetscapes and front yards, well maintained common areas and amenities, and a Lantana Community Association (LCA) staff that ensures your community keeps an immaculate and fresh exterior. The LCA received the highest ranking of all other DFW master-planned communities by Lantana residents. Lantana is less than 2 miles away from over one million square feet of retail shopping, entertainment, and dining options. Located between 35E and 35W on FM 407, Lantana provides easy access to Dallas, Fort Worth and Denton and is only 20 minutes from Dallas Fort Worth International Airport. Take I-35E north to exit 454A toward Highland Village. Merge onto N Stemmons Fwy frontage road. Turn left onto FM 407 for 6 miles. Turn right onto Lantana Trail. Turn left onto Bradford Street and the Information Center / New Homes Sales Center will be on your left. Take I-35W north to exit 76 toward FM 407 toward Argyle/Justin. Turn right on FM 407 for 5 miles. Turn left onto Branch Crossing. Continue for half a mile until taking a right onto Lantana Trail. Take a right onto Bradford Street and the Information Center/ New Homes Sales Center will be on your left. Take TX-121 North to FM 2499 north for 10 miles. Turn left onto FM 407 for 2 miles. Take a right onto Lantana Trail. Turn left onto Bradford Street and the Information Center / New Homes Sales Center will be on your left. Education is Lantana’s highest priority. Lantana has joined with the visionary DISD leadership to provide the finest education available for Lantana students. 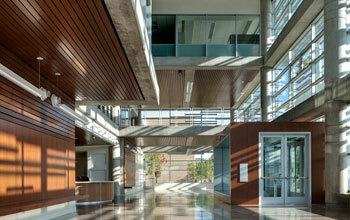 Lantana is home to four highly prestigious schools. E.P. Rayzor Elementary, our first on-site school, opened in August 2002, Annie Webb Blanton Elementary School and Tom Harpool Middle School opened in 2008, Dorthy P. Adkins Elelmentary opened in August 2014. The on-site schools allow for the ideals of riding your bike and walking to school to become your children’s reality. 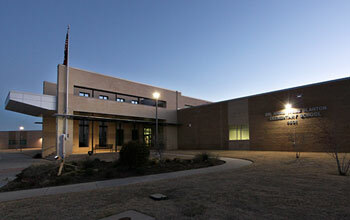 In Lantana, the assurance of education and safety are our primary focus. 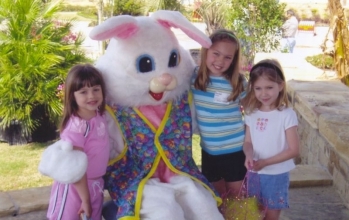 Our greatest commitment to education is the Lantana Education/Charitable Foundation. This organization was created to fund projects such as advanced educational programs for Lantana students, as well as religious, scientific, literary or other charitable endeavors. 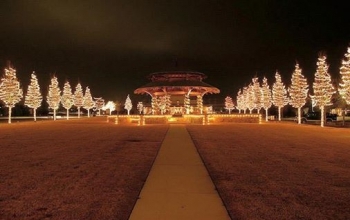 The Foundation committed $1 million to the Denton Independent School District in 2000, enabling an elementary school to be built for Lantana students. One-half of one percent of the sale of all real estate sold or transferred within Lantana both current and future will go into this permanent foundation. To date almost $6 million has been granted through the Foundation to DISD. This unprecedented commitment is helping to build Lantana's reputation as one of the country's most "education-friendly" communities. 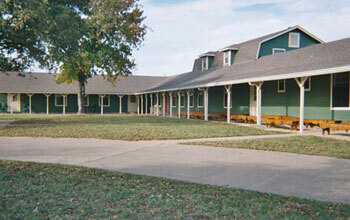 North Star Academy is an on-site Daycare and education center located in the heart of Lantana. North Star provides excellent care and early-childhood education for infants through kindergarteners as well as after-school daycare programs for school-aged children. They offer extended hours to accommodate the busy schedules of Lantana parents as well as Parent’s Night Out twice monthly and summer camps. The Lantana Community Association offers year round events for residents to enhance the sense of community and bring families together. From Music on the Green concerts in May to the Monster Mile on Halloween, the activities enhance the quality of life for our residents and unite the entire community. 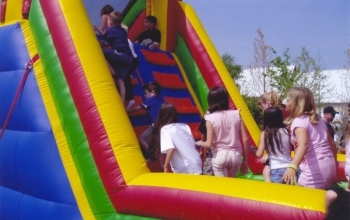 Get a taste of the wide array of activities available to our residents. Families pack the Town Green with their blankets, baskets and coolers to enjoy an evening under the stars listening to their favorite music by local country, pop, blue grass and rock n' roll bands every Friday night in May. An annual 5k run and walk in Lantana, TX! Runners enjoy the rolling hills of our community, along with a portion of the hike and bike trail and some of the surrounding neighborhoods and schools during this three-mile, family-fun event. Colorful Spring plantings set the stage for this annual rite of passage celebrating Spring in Lantana! 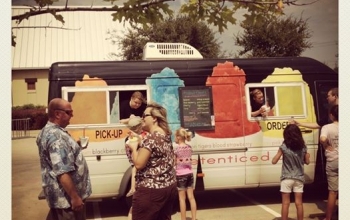 Food vendors, children's events including zip lines, rock climbing, bounce houses and face painters provide a ton of fun for all Lantana families. 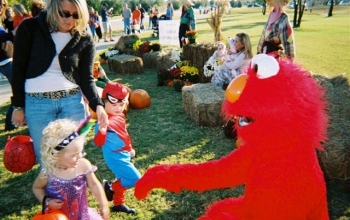 The biggest event of the year- with costumed kids and parents trick or treating on our Halloween-decorated “Monster Mile” featuring your favorite bigger than life characters handing out thousands of pounds of candy to Lantana children. Every Spring and Fall, homeowners can take part in this semi-annual ritual. Not only does it give you an excuse to clean out your closets and make some extra money, but you can find some really great “treasures” while having a fun day with your neighbors.